Bagpipes is an authentic sounding set of Scottish Great Highland Bagpipes. These are the most popular style of bagpipes, played in Scotland and around the world for parades and other events. Touch any note to start the chanter playing. Once started, the chanter plays continuously just like a real set of bagpipes. Turning the drone off also silences the chanter notes. Touch the "?" to show/hide the note names. Touch the "i" to visit the ePipes.co.uk website to learn more about their bagpipe-related programs and controllers. 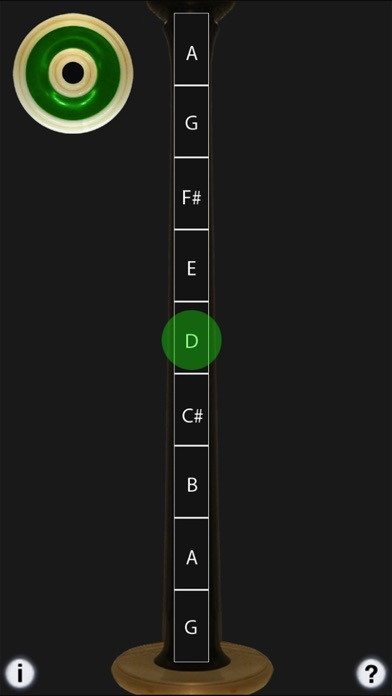 Playing Tip: To make your playing sound more authentic and for repeated notes, quickly slide from an adjacent black key to the note you are playing to simulate a piping "cut" ornament. You may play along with the music on your device by starting the music track playing on your device, then launching the app.